That is why many holidaymakers visit our town for a long period, or make our town their second home. Its natural landscape and mild weather is incomparably one of the most attractive areas of southeast Europe. The town takes its name from the small Byzantine church of Saint Nicholas, situated on a small peninsula near the Venetian harbor called Mantraki. The church is a beautiful example of classic Byzantine architecture and was built between the 7th and 9th century, during the Iconoclastic period. Many of the original frescos decorate the interior. Agios Nikolaos and the surrounding area has more "Blue Flag" beaches than anywhere in Greece. The clear, crystal water is perfect for snorkeling and swimming and the beaches range from long sandy beaches such as Almyros, to small rocky coves where you can enjoy total solitude. The nearby resort of Istron has three wonderful beaches and is only a short distance from the town by car or bus. When weather conditions permit Istron, Kalo Horio is also a popular wind surfing destination. 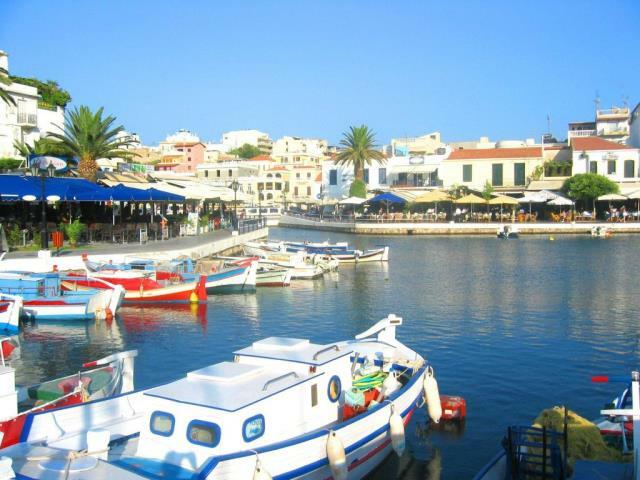 Istron is a small resort 9km from the centre of Agios Nikolaos. Istron still holds the feel of a traditional village and has some of the best sandy beaches in the area. The villages of Kalo Chorio and Pirgos lead up to a mountain back drop and enjoy fabulous views of sea and mountain ranges. There are many wonderful walking trails to be found around this area. Swimming, sunbathing and snorkeling in the idyllic surroundings of eastern Crete are not reserved for holidaymakers. The traditional "siesta" time is often substituted for a few hours on the beach in the height of summer. The nature reserve at the southern end of Almyros beach is the source of a cold water spring which flows out into the sea. 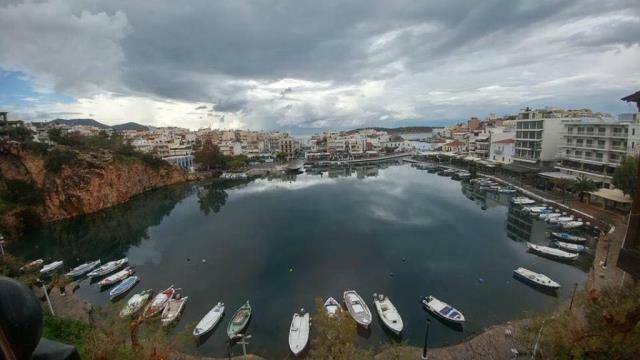 The town is famous for the "Bottomless" Lake, "Voulismeni", which is surrounded by friendly tavernas and restaurants. The Lake is the legendary bathing place of Artemis & Athena in Greek Mythology. One theory suggests that the lake is joined by an underwater passage to the island of Santorini or Thera which was partially destroyed by a volcano in around 1450 B.C. The lake is just a short walk from Mantraki. It was thought to be bottomless but was measured at 64 meters deep by the famous underwater explorer Jacques Cousteau and his team. It is reputed to contain WW2 tanks and is the focal point of the town. At Easter, there is a spectacular firework display at midnight and every person around the lake lights a candle until the entire area is bathed in light. It has to be experienced to be truly appreciated. 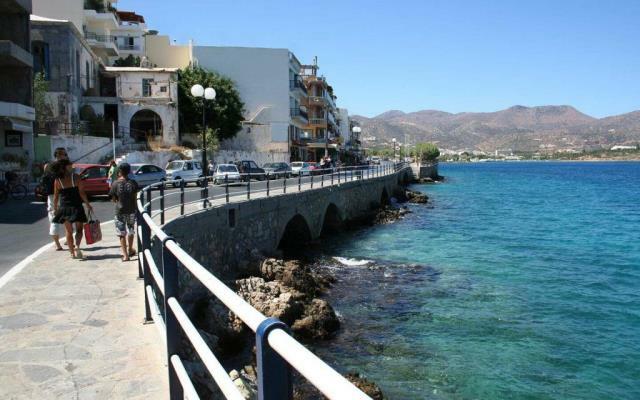 The area of Agios Nikolaos covers a long stretch of the north eastern coast and a hinterland that rises to the tremendous rocky ranges of the Dhikti Mountains. 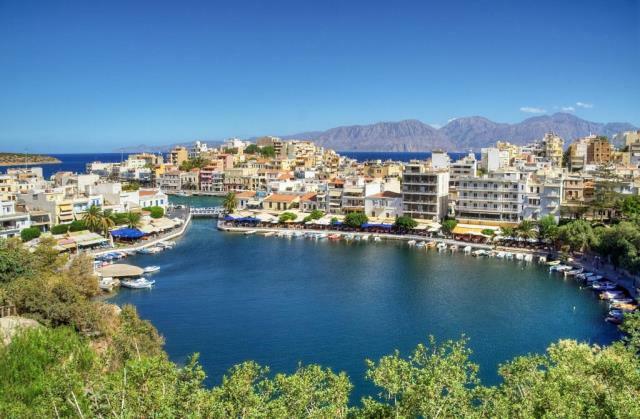 The actual town of Agios Nikolaos is the administrative capital of the region of Lassithi, and has a population of Agios Nikolaos became the first real tourist resort in the early 1970's, on the island, and was known for being a noisy and lively resort. 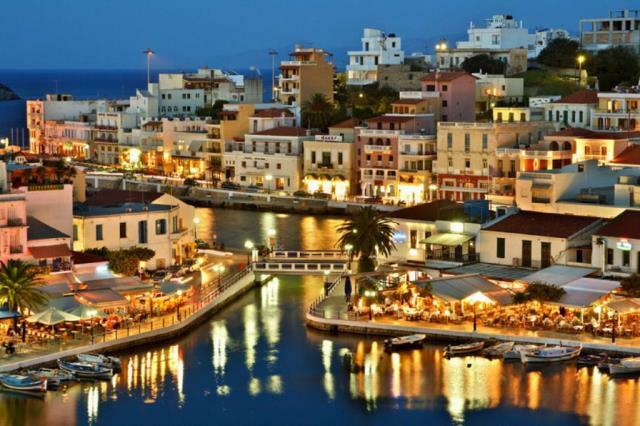 Times have changed, and Agios Nikolaos now enjoys the reputation of being an up market destination for many nationalities and its romantic setting and lake area make it a perfect place for couples of all ages. 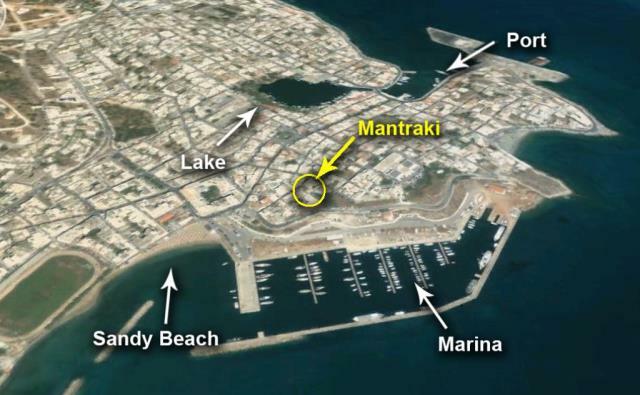 There has been much "beautifying" of the town in the past few years, and a large well equipped marina has been constructed, which hosts many national and international sailing competitions. The church is open to visitors all year round. The town also houses an archaeological museum, folklore museum, cinema, and many cultural events are held in the summer months.